Friday 28 November 7:00 pm, Room B102, Brunei Gallery, SOAS. Above: Jalila, a short documentary on Syrian women’s roles in the revolution, one of three films by Adnan Jetto being shown by the SOAS Syria Society on Friday. The SOAS Syria Society is delighted to host Watanili and filmmaker Adnan Jetto on November 28th at 7pm in room B102 in the Brunei Gallery, SOAS. Watanili is a grassroots initiative, founded in May 2014. 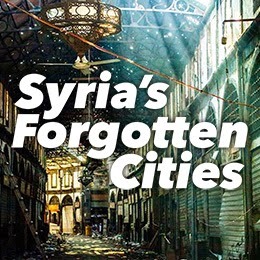 Initially, the idea was to shed light on the civilian aspect of the Syrian uprising; stories and issues that were not necessarily being covered by the mainstream media. Today, Watanili aims to focus on sustainable projects from educational initiatives to recreational activities for internally and externally displaced Syrians alongside various campaigns and films to continue delivering one message for a free Syria based on democracy, rule of law, freedom and social justice. 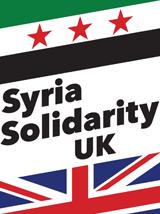 The event is free but there is a suggested donation of £3 that will go to Watanili.